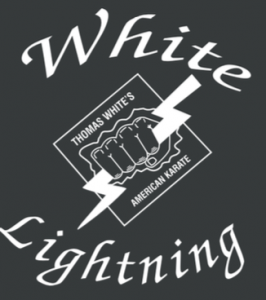 The White Lightning T-shirts have an aspect of symbolism of Karate and fighting. These shirts sold as a picture of the Christian’s duty in his spiritual battle for God’s kingdom. Each shirt was sold for $10 earning a little over $4 in profit per unit. 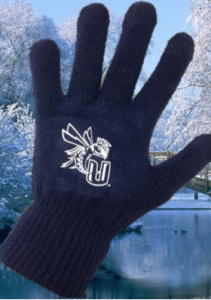 The CU Jacket Gloves sold with a motto of “Support the Jackets!” and the touchscreen-enabled gloves sold for $8 per unit, earning White Lightning approximately $2.75 per pair. A series of two video game tournaments. One was 2 v 2 Super Smash Bros tournament, called Smash Fest. And the other one was a 90s Game Night Overview. Both had a $7 admission fee and for those who participated were given a wristband. For Smash Fest, first place was given a Nintendo Gamecube, second pace got two plush toys of characters from the game, and third place won two White Lightening T-Shirts. 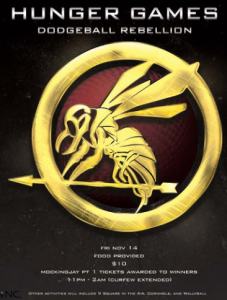 The Hunger Games Dodgeball Rebellion provided an electric atmosphere through its theme, gaming and concessions. 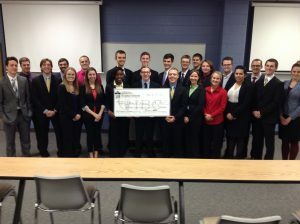 Teams of eight people competed in matches of four teams, consisting of hectic cross court action. Music, food and side games provided an alternative while teams were between matches.